Rose Garden Fountain-1934 to 1987. Opened by the Mayoress Mrs. W.D.Buck-22nd. June 1934. The original plaque which was fixed to the Fountain’s east side plinth-now is in store in the Civic Centre. A new plaque was installed-south side of plinth-2005. 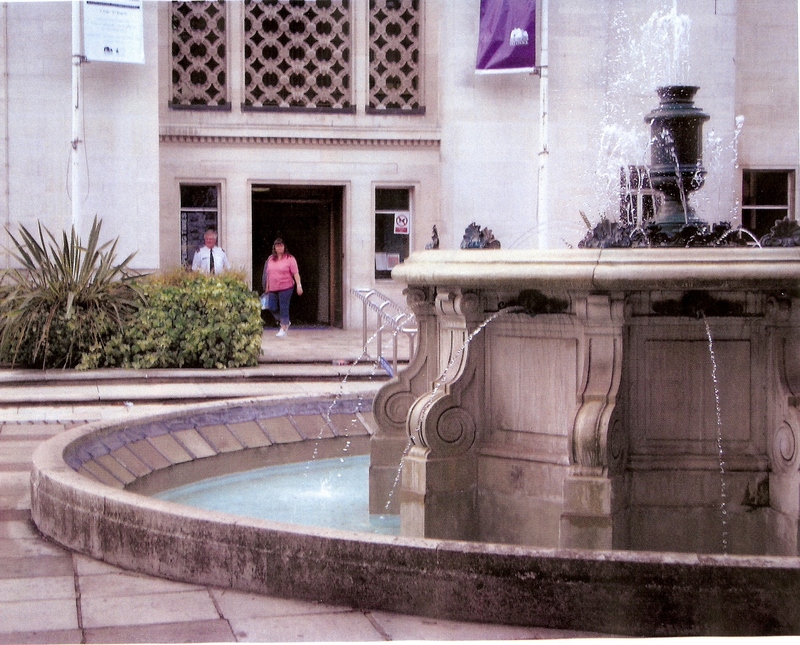 During its relocation to the Art Gallery Forecourt in 1992, perhaps between- 23rd. & 30th. September 1992, thieves stole the original 10-bronze Lions’ heads-since replaced with new heads. NB. In view of the current thieving of such metal features, plaques, etc. consideration should be given to ‘hall-marking’ of the reverse sides with ownership details, etc.